How email marketing can help your business? Can you grow your business without marketing? As a marketer, you probably have the answer. With fierce competition in the global world, marketing can be a tough job. Even though you are offering the best products and services it needs to be advertised before they sell. And attracting new customers’ every day is not easy. In today’s fast-paced world email marketing is essential for its speed of the internet. Be it newsletters to e-zines, email promotions, daily deals, advertising, autoresponders, marketing automation, email marketing includes all this and more. It is the most preferred choice for all marketers to build awareness, grab attention and convert prospects. Moreover, you can reach out to your clients directly and personalize your communication. While traditional form of marketing is still prevalent, it may come across as expensive. On the other hand, email marketing is less expensive and it is much more quantitative. To improve your chances of success, you can launch new campaigns on a strong foundation of established data obtained from marketing channels. It is a known fact that email marketing is the most effective methods to get your business’s marketing message in front of your target audience and convert them into customers. Email marketing is not just for big businesses. Considering its affordability and cost-effectiveness, it can also be a great choice for small businesses working with limited marketing budgets. Nevertheless, one of the fascinating reasons to use email marketing is its return on investment. Once a site visitor fills out a form on either one of your landing pages or on a website page, it is added to your contacts database. Over the course of time, you can trigger emails via tailored emails. Now you have a possibility for your prospects to become customers. Moreover, when you listen to the needs of prospects and answer their relevant needs. This way you can nurture relationships with buyers at every stage of the sales funnel. When you send emails you need to make sure to include your brand’s logo in the template design of your email communications. This will help build brand awareness. We all love sharing interesting information and may want to pass it along to others as well. So, it is best to include a call-to-action that tells them to forward the email. This can help increase shares and get your brand in front of new audiences. You can stay in touch with your audience so that you are always on the tip of their tongue. This helps them buy your products and also refer their friends, family, peers, and contacts to you. According to PewResearch Center, over 74% of adults age 50-64 use smartphone devices, and 42% of people over the age of 65 have a smartphone. This means when you send a message to your prospect, most likely that it will be checked immediately. So, you don’t have to worry about wasting time making cold calls or trying to verify a prospect’s address before sending them that expensive postcard. Most marketers today are going digital by avoiding printing, paper, envelopes, mail handling, etc. Besides you can custom build a newsletter template you can use over and over again. So, it’s about time you save money and some trees. Email marketing saves your valuable time, which means you can type your marketing message and in less than an hour and send out your message to everyone in your database. If there is a call to action button it is even better. You will be able to follow up with the person who has requested for more information. The quality of your email marketing should be authentic, consistent and of full value. You create an authoritative trustworthiness and people will be more likely to think of you first. This further makes it much easier for you to then promote and sell your products and services to your targeted customers. By promoting recent blog posts you can drive your email newsletter subscribers back to your website. To attract new visitors via social media repurpose your ezine content. Furthermore, to gain exposure and visibility for your brand share your ezine articles on article sharing sites. We all want to have loyal customers and with good email marketing strategy, you can make your customers coming back to you for more. Hence, they are likely to become your brand promoters, marketing your products for you. This is another way that potential customers may find your business. If they are visiting a certain website, and they find a link to your site, they will surely click on it. They are more likely to trust you there than they might if they had stumbled upon your website in some other manner. You will need to undergo a process called link building to improve your ranking. Two other ways that you can get these valuable links is through social media and PR. This way you can increase the amount of traffic that comes to your site and improve your ranking. Email marketing helps you grow your network and build your targeted email lists by capturing email address through a website opt-in box. Visitors to the website give you permission to market to them your products and offers by email. So, promote your email newsletter via social media, on your website, in products, and even in your email signature. Sales made from your recommendations can earn you commissions. You can also sell ad space in your ezine after some time. You can recommend a product, programs, and services you have used yourself through a newsletter. You generate new opportunities such as strategic partnerships, joint ventures, media interviews, speaking engagements, and more by publishing an email newsletter. Nevertheless, a new opportunity may come from someone your ezine was forwarded to as well. The best way to increase sales through email marketing is to send either promotional email or new arrival email. Every email you send can get you one-step closer to making a purchase. Emails help you build trust, establish a relationship, and improve brand awareness. Sharing information about your business through emails, helps customers see how valuable your product is. This ultimately leads to money in the cash register. Email marketing is believed to be the best way to welcome subscribers, nurture relationships with them, build trust, and engage them in your promotions, deals, and offers. When email marketing is used effectively it can significantly improve your business. So, don’t forget to optimize your email marketing strategy when you are planning to work on your branding. We can help you send out the right emails at the right time to attract attention and retain loyal customers. It is up to you to merge it with other mediums of online marketing or use it as an individual strategy. The choice is yours. You are likely to lose out on a large number of potential customers by not using email marketing. Email Data Group can get you on the right path to maximize business success. Carrying a decade of experience behind us we have the expertise and a very talented team to offer marketing help in every possible way. 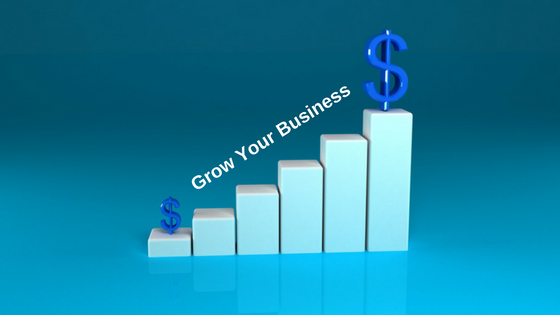 Partner with us and grow your business. Contact us at Email Data Group today! This entry was posted in Email Marketing and tagged email lists, email marketing strategy, targeted email lists. Bookmark the permalink.